Stephanie Gonda, sales manager of Townsquare Media, has created a movement meant to highlight issues the youth of Grand Rapids face every day. By bringing students together—organized into groups facilitated by mentors and coaches—and involving local organizations like Experience Grand Rapids and Amplify GR, #GRSummerProject aims to provide access to the resources necessary for developing solutions to those same issues. The project will be in effect from June 12 until August 3. Each student, from sixth graders to freshmen in college, will choose a social issue they are passionate about and be grouped with other individuals who choose to work on the same issue. Each group will be given $1,049 to fund the solution being developed for their specific problem. The students have near total control over how they want to proceed with finding a solution and developing the solution itself; the mentors and coaches for each group will simply help piece together and polish the end result. Originally, the application deadline was June 6, but has now been extended until June 29. As of the publication of this article, there are 34 students involved, tackling issues such as homelessness, discrimination, mental health, and entrepreneurship. For Gonda, the fuel behind #GRSummerProject rose out of frustration and ambiguity. Prior to the campaign, she raised the question to herself and her peers of whether or not they were impacting the youth as much as they should be. After going into the community and listening to their needs, the answer boiled down to one simple, yet profound concept: the youth of Grand Rapids need to be seen, heard, and felt before anyone else. One student involved, Gonda explains, expressed her concerns about her safety after being held in a lockdown at school due to a nearby armed shooter. Another touched upon his struggles with being bullied and depression. 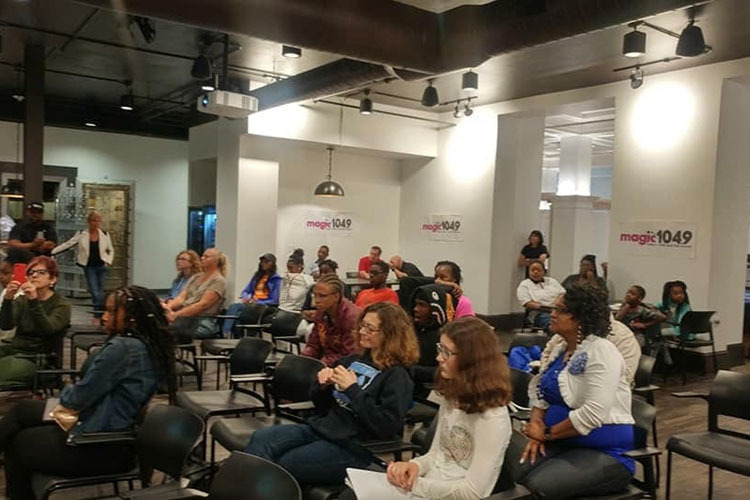 Additionally, Magic 104.9 radio station is collaborating with #GRSummerProject, not only to highlight community issues, but to highlight local musicians as well. Students have the opportunity to submit their original music to win a cash prize of $2,500, have their music featured on the radio, and to open for the end of the summer concert designed to celebrate eight weeks' worth of commitment to social change. 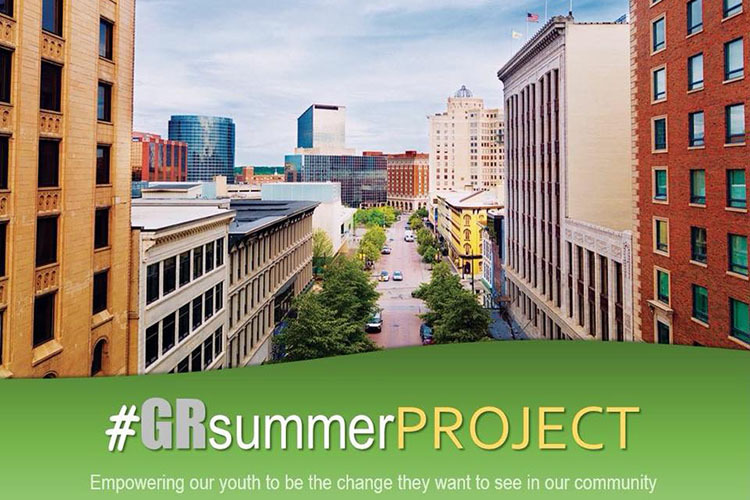 If you're interested in applying to be part of #GRSummerProject, download the pledge form here. Sign up here to get Rapid Growth in your inbox every Thursday morning.